Based at Victoria Airport, British Columbia . DHC-2 Turbo Beaver, DHC-3 Otter, DHC-6 Twin Otter, etc. Check their website for recent news. Sealand - Bill Alder's magnificent facilities at Campbell River for mods and rebuilds. Don't forget to keep up with the Sealand Blog! ASAP Avionics Services Ltd. Superb expertise at Campbell River Airport, British Columbia. 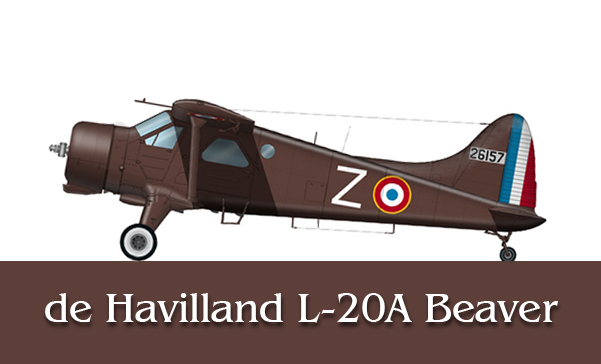 Are you ready for your very own de Havilland DHC-2 Beaver? 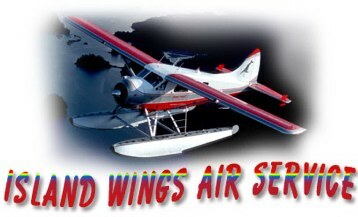 Check out Kenmore Air Seaplanes in Seattle, I' m sure they they can help you. At least go for some flightseeing, or take some training. Aerocet floats for your DHC-2. Just starting this section - it will be developed more as I meet and talk with the operators. 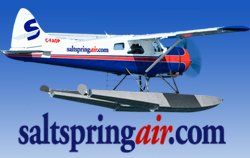 Saltspringair based in Ganges, British Columbia. A Great Airline with really great planes and people. Seair Seaplanes operate DHC-2 piston and turbine Beavers from Vancouver South, on the river. RICH HULINA My good friend and owner of Slate Falls Airways at Sioux Lookout, Ontario. John W. Olafson of Vernon, BC - always on the lookout for the de Havilland DHC-2! 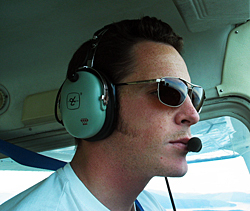 IAN BEATTY Beaver pilot - photographer. BILL HANN another pilot and photographer friend. Bill has a very busy life flying for Westjet and he and Maureen have a growing family! NEWS: July 2011 - Bill is fighting a very serious Brain Tumour. Our thoughts are with him and his family especially during these trying times. Fight and win Bill !! Alas, on 11 November 2012 Bill lost his fight. I for one will miss you a lot Bill. Sympathy to Maureen and the children, your folks and sister. Eric Dumigan for the some Wings and Wheels activities at the Toronto Aerospace Museum at Downsview Park. CHIP PORTER - Chip hails from Ketchikan, Alaska. He not only captures the de Havilland DHC-2 Beaver like no other, his Alaska Images are second to none. MICHAEL BES - Check out his Ontario 2006 section, lots of Beavers and Otters in beautiful locations. Welcome to The Aviation Photo Company website. We have been selling quality aviation photographs for over 40 years and continue to offer the best value and widest variety of aviation images in the world. We hold a collection of over 400,000 unique aviation images from the very earliest monoplanes and bi-planes to all the latest military and civil aircraft, with everything in between. Browse through our galleries or use the search function to find what you are looking for. NA3T Aviation Research - Images • Incredible collection of photographs available for purchase. Great selection of DHC-2 as well. Run by Bob Hobbs. AirTeamImages.com is the world's largest and most respected aviation stock image library on the web with large collections of airplane pictures and aircraft photos. Toronto's own Air & Space Museum at Downsview Park, Birthplace of the Beaver!! 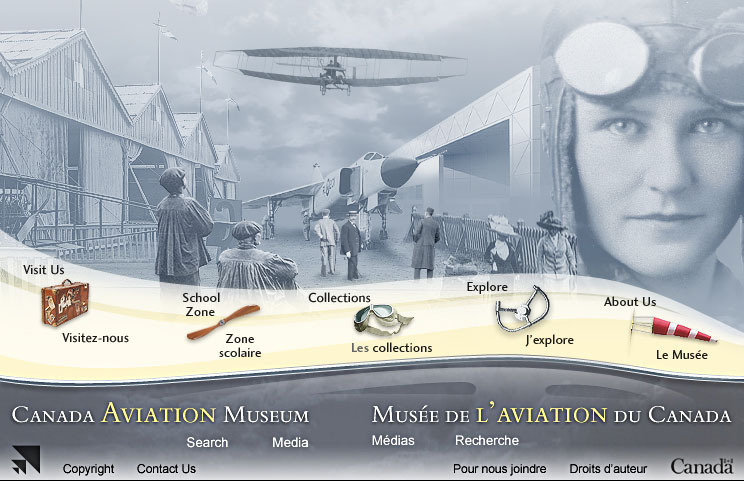 Vintage Wings of Canada Collection - Based at Gatineau, Québec. The finest Enthusiast Organization and their house magazine is outstanding in quality, depth of reasearch and reporting, photography, everything is very well done. My favourite (did you guess?). It is printed in English now. Something for every spotter/enthusiast. They also produce some wonderful publications. Here is a link to Air-Britain (Historians) Ltd. I am the de Havilland DHC-2 Beaver specialist to this excellent society. With almost 4,000 members, it does a sterling job in recording all aspects of aviation, Check them out, great publications. A fine data base program by my friend Ian Churchill. I was the DHC-2 and DHC-3 editor for this enterprise for a while, meanwhile Rick Timms is doing a great job these days, I hope to get back in the saddle someday when time permits and make the Beaver section complete. For UK Serials! A truly great resource. 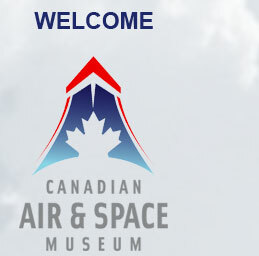 The Canadian Aviation Historical Society. Website link. A wonderfully comprehensive site by Graeme Mills of Australia. A superb established quarterly publication edited by Dan Willink. A series is underway with the complete de Havilland DHC-2 Beaver production list. This will probably be the first accurate one produced since an early one by the same publication a great many years ago. It is a pleasure to collaborate with Dan (who is not a slave driver!) The final episode was published. March 2004 Issue 97 PHEW! A must have by my good friend Karl E. Hayes, of Ireland. Karl is the acknowledged World expert on the DHC-3. This product is a must for all de Havilland DHC-2 Beaver flight simulation fans. I helped with the research on this product, many, many long hours on line with Andrey Tsiverenko in Novosibirsk. My only stipulation and reward was that I should be one of the virtual pilots...I got my wish. So I get to fly in virtual Beavers all over the world. Thanks Mathias and Andrey. Master Plan Builder Martin Rousseau, not just Beavers. What a project, check it out. A wingspan of 5.85 metres!! Scale 1:2.5 - what precision. I'm sure Harald could easily build a full scale Beaver from scratch if he wanted to!! I finally got to meet Harald and one of his magnificent Beavers in Austria in July 2011! Jim Gauseman's great site FIDDLERS GREEN. Super Paper models of the de Havilland DHC-2 Beaver. Well done Jim! is the Beaver section, with over 2,527 images (August 2017). Many of their photographers regularily contribute to my website. A link to some Beaver pictures taken in Japan This is an excellent site of photographs of many aircraft, both civil and military from at least a forty year span. Home page. By Phillip Treweek of New Zealand. Close up shots of Beaver ZK-CKH and other New Zealand DHC-2 aircraft Phil has photographed. 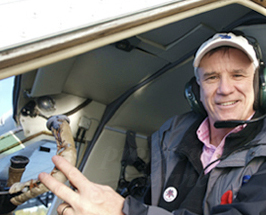 John Burford - The Beaver section of his Australian Aviation Archive Site. The story of a Beaver c/n 731 restoration, by Ken Springer and his team. An idea of the detail and time required for a really fine job ! This section will expand someday! Fish, food, fabulous Alaska scenes and three Beavers, who could ask for more? Darren Crick Australian Air Force Beaver details. Wide ranging site with my notes on Beavers exported to Pakistan from de Havilland. NOTE: Jamie has closed most of his site! Great info/photos . . . . . go there often . . I do! Keep up the good work Ruud. The Aviation History Image Archive - another great website - I hope to add some of my work someday soon! Visit my friend Damiano's site, great stuff! Paul Zogg Collection Airliner Site - Quite amazing! Time well spent! Gamut Productions - featuring Harrison Ford and yours truly! 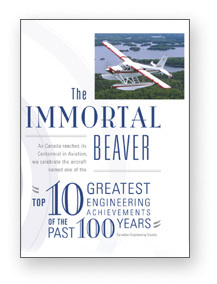 The very first Beaver book to appear on the market, the very fine publication"The Immortal Beaver" by Sean Rossiter. If you don't have a copy yet, (be ashamed!) get one soon from your local book store! 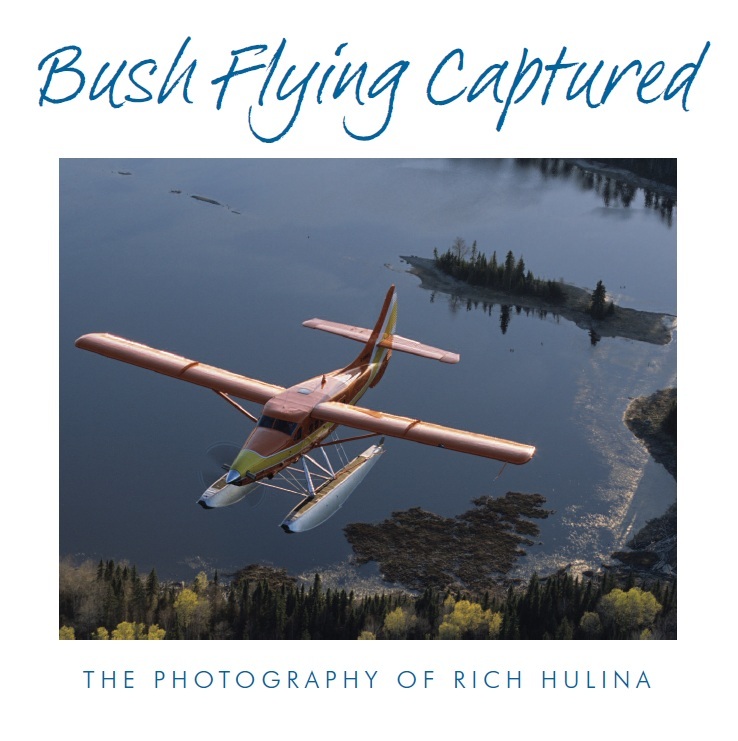 Site to order Henry & Linda Friesen's book "The Beaver Bush Plane at home in Ontario"
Larry Milberry finally has a web site where you and order - what a great guy! Great books, many with a Beaver angle. Fred Hotson's " de Havilland in Canada" for one, and Larry's mighty "Air Transport in Canada", a must. Don't forget to get my friend Wilf White's Book from Larry! Link to site by Lukas Lusser in Switzerland, who has contrubed many fine Beaver images to my site. Lots of fine images to keep you interested on these web pages. ZAP16.COM cool site with enough to keep you busy for hours! Website by Dutch enthusiast Jan de Hoog. LAURA MARXEN's GREAT BLOG - "Pistonengineprincess"